NEWPORT BEACH — One of the most beautiful boating destinations in Southern California will host “the premier yacht show in the west” – the Newport Boat Show. 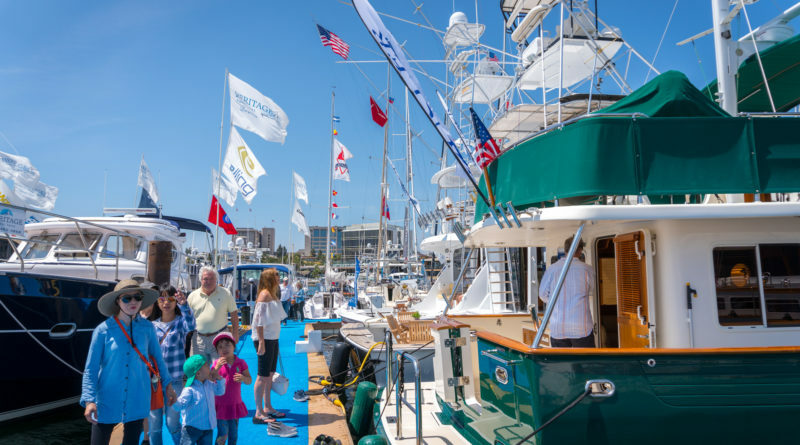 This year’s Newport Boat Show celebrates its 45th year and will be held outdoors in Lido Marina Village, a venue with a wide array of activities for boaters and shoppers. A variety of the newest vessels will be on display shore-side and in the water with some of the newest models, products and services available to boat owners, most notably the big boats and trawlers that marvel boating enthusiasts. This show will especially be a hit with those who want to view larger vessels – there is no limit on size and more than 200 boats will be showcased. A free off-site parking and shuttle service is provided by Lido Marina Village, and be sure to take family members and friends to some of the unique boutiques, restaurants and shopping locations nearby. Newport Boat Show will take place on Thurs., April 19 from noon-7 p.m.; Fri., April 20 from 10 a.m.-7 p.m.; Sat., April 21 from 10 a.m.-7 p.m.; Sun., April 22 from 10 a.m.-5 p.m. Admission to the show costs $15 for adults with a $5 discount with Military ID, and is free for children ages 12 and younger. Lido Marina Village is located at 3432 Via Oporto, Newport Beach, California 92663. For more information about exhibitors, FAQs and buying tickets online, visit the show’s website at newportinwaterboatshow.com.